Stirling, Scotland is a city and former ancient burgh in Scotland and is clustered around a large fortress and medieval old town. One of the largest and most important castles, Stirling Castle is located there. The Castle sits at the top of Castle Hill, about 250 feet above the plain on an extinct volcano and is surrounded by three steep cliffs. Its location was guarding what was the farthest downstream crossing of the River Forth until 1890. Several Kings and Queens were crowned at Stirling including Mary, Queen of Scots. Mary spent her childhood in the castle and in 1543 was crowned there. Touring the castle you will see excellent historical displaces such as a recreation of the 16th century kitchen with interactive and sensory exhibits. You can also learn about the Argyll and Sutherland Highlander eventful history from 1794 until the current day. 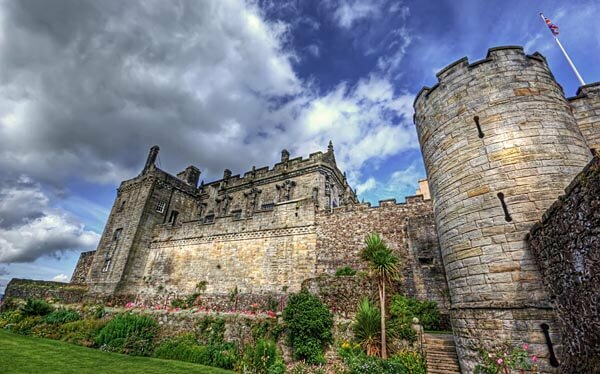 Stirling Castle is regarded as having the finest example of architecture from the period in Europe. Visitors can step into the astonishing richness of royal life in the 1500’s. Stirlling Castle is open seven days a week year round for visits. Truly something not seen or experienced everyday by those of us in the United States. Last updated by Barb Jungbluth on 01 February, 2012 in Destinations.